Jerome Kirk was born in Detroit in 1923. After serving in World War II, he received his B.S. degree in mechanical engineering from MIT in 1951. With the placement of over sixty public and privately owned outdoor sculptures worldwide, from his piece at Storm King, Mountainville, New York towering over 45 feet high to “Quest” at Space Technology Laboratories, Redondo Beach CA weighing over six tons, technical and spiritual discoveries for Kirk are endless. 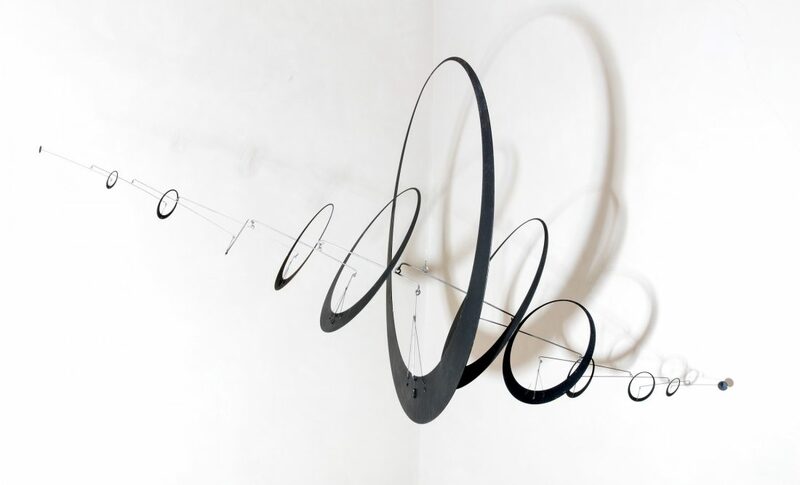 Akin to his influences, Alexander Calder, David Smith and Harry Bertoia, Kirk’s dedication to his craft has set new standards for sculpture, specifically kinetic sculpture. 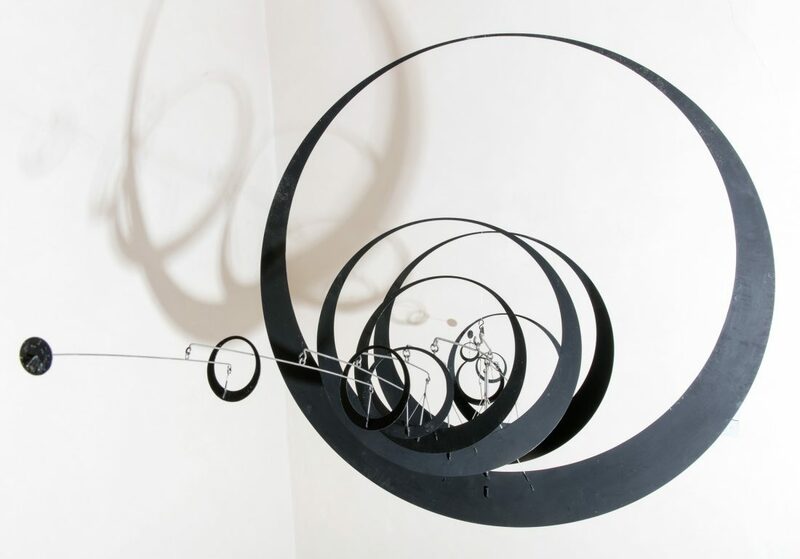 The physics of motion is celebrated by the flawlessly executed technical engineering and structural design of the aluminum and stainless steel beams, arcs and other geometric elements that make up Kirk’s large outdoor sculpture and smaller intimate indoor works. Just as one can expect waves to crash on shore and flames to flare and spit and crackle, Jerome Kirk’s sculpture remind us of motion’s existence in real time. With the help of gravity and a starting force, whether it by a slight breeze or the light touch of a human hand, the mass and weight of these parts balance playfully and leave the viewer truly mesmerized. Jerome Kirk’s work can be found in numerous private and public collections, including at the San Francisco Museum of Modern Art, San Francisco, CA., Storm King Art Center, Mountainville, NY., Albright-Knox Gallery, Buffalo, NY., Sheldon Art Gallery, University of Nebraska, Lincoln, NE., Phoenix Museum of Art, Phoenix, AZ., University of California, Santa Barbara Art Galleries, Santa Barbara, CA. University of California, Berkeley Galleries, Santa Barbara, CA., Old Jail Foundation, Albany, TX.